If the pigmentation of the skin is being affected, you are suffering with a condition called as vitiligo. An individual with vitiligo may experience premature graying of hair, eyebrows, eyelashes and beard. It can spread over a year or over few days. This condition can affect both men and women and all races too. But it is more noticeable to individuals with dark skin. For decades, scientists and doctors have been working on the condition but up to the present there is no actual cure for it. But even if the cure is not yet made, the condition can be controlled. The three main factors in your life play a huge role in the creation of vitiligo. How risky these factors turn out to be and how you are living your life can have a bearing in developing this condition. Lifestyle, genetics and environment are the three factors. 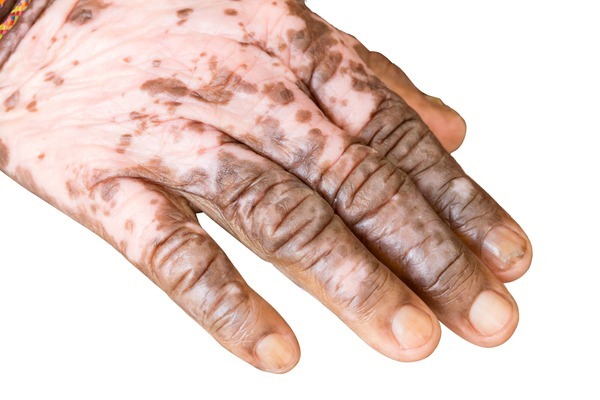 Vitiligo is an autoimmune disease wherein the cells that make pigment in the skin are destroyed. Melanin will be lost as the cells die which cause white patches on some areas on your skin. Up to present, doctors haven’t created any cure for this condition. Without any warning, vitiligo can attack you at any time. Even if there is no cure for vitiligo, you can slow down the effects of this condition by changing your diet and environment as well. Your immune system will be weak and susceptible of allergies and viruses if you are having poor diet and lacking of the necessary nutrients that your body needs. So, it is recommended to have a balanced diet that consists of fruits, vegetables and meats. The antioxidants that you need can be achieved through fresh fruits and vegetables. Remove processed foods and junk foods from your diet and go with fresh fish and meats and plenty of fruits and vegetables. As much as possible, you must try to lessen your gluten intake. Eat more tofu. Stay away with spicy dishes. For more information on what to add on your diet, you can consult a diet specialist. The specialist may test you to check if you have food allergies and will help you with your dietary habits. Having poor diet can lead to other illnesses and diseases. With that, eating healthy is a must. In some cases, people reported that depigmentation appeared after periods of physical or emotional stress. And stress is associated with environment. So, you can remove stresses as you eat healthy and live a healthier lifestyle. Even if there is no actual cure, but by improving your life and way of life, you will be able to manage vitiligo. A healthy lifestyle and a balanced diet can help in controlling the symptoms. A better understanding of the condition and living a healthy life, you can move forward and can control the condition. Another thing, you have to protect your skin from the sun. Using sunscreen can be very helpful. Sunscreen with at least SPF 30 should be applied to the skin daily for UVA/UB protection. Another way to protect your skin is by wearing sun-protective clothes such as long-sleeves, pants and hats. There are clothes with SPF, so make sure to make use of them. To get the pigmentation back, people with vitiligo will do all what it takes. So in changing your diet, you will have a healthier body and less stress which in turn can lessen the outbreaks. For a great smile on your face, follow this formula healthy diet + less stress + protection your skin = less vitiligo.